The velvety, silky style of Chateau Canon is the magical result of the way its grape varieties benefit from its soil. The limestone containing fossilized starfish makes the wines that grow in it fresh, subtle and elegant. They have a remarkable capacity for aging. 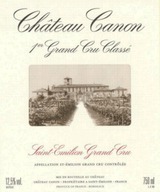 Chateau Canon is therefore a wine that requires patience, which over time slowly reveals its noble qualities. With the exception of a storm in August, the 2009 vintage is characterized by very little rain. The flowering, very homogenous, started at the beginning of June and color change happened from July 25th onwards During summer, the beautiful days of August and September, with high temperatures and cool nights, encouraged a slow and complete maturation of the grapes. Because of little rain in June, July and August, the berries remained small, revealing a dense colour and beautiful richness. Under these circumstances, the clay and limestone terroir of Canon made the difference, preserving the freshness of the vintage. Perfect weather allowed us to harvest under ideal conditions. The quality of the berries which arrived on the sorting tables made the work of our vineyard team even easier. 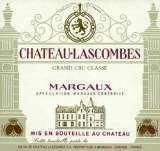 What a gorgeous nose, with sweet and delicate fruits such as sliced plums that turn to milk chocolate and flowers. Full-bodied, with silky tannins and a long, long finish. You want to drink this right away. 75 percent Merlot and 25 percent Cabernet Franc. Barrel tasting. Definite wood aromas, the fruit buried under the high toast flavors. This gives dryness as well as extract. The wine comes across hard, tight, almost dark in character.